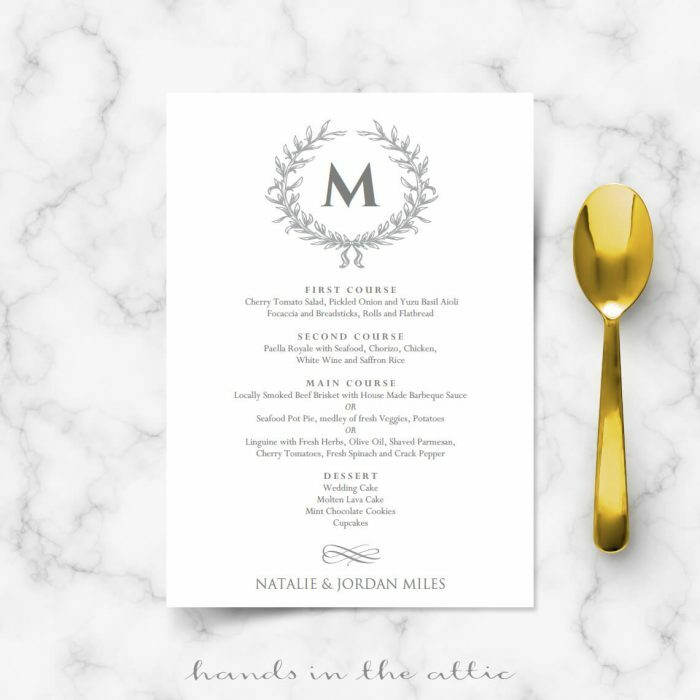 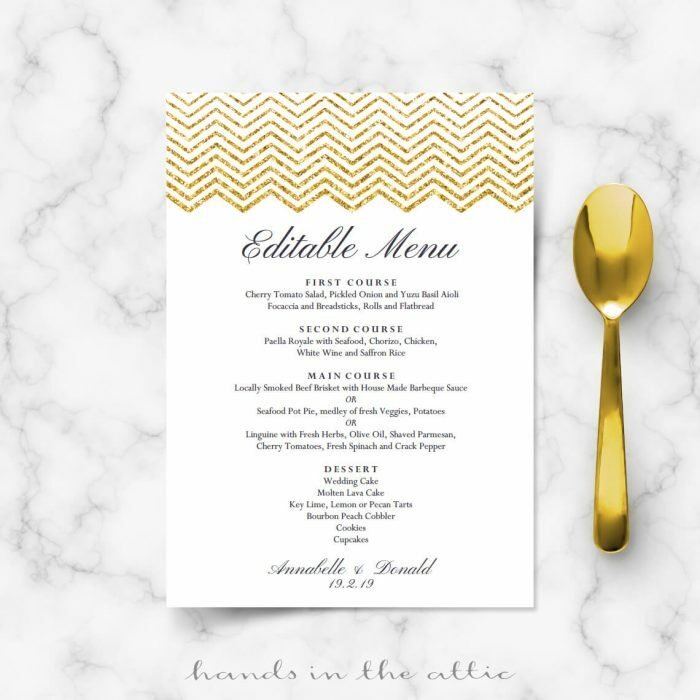 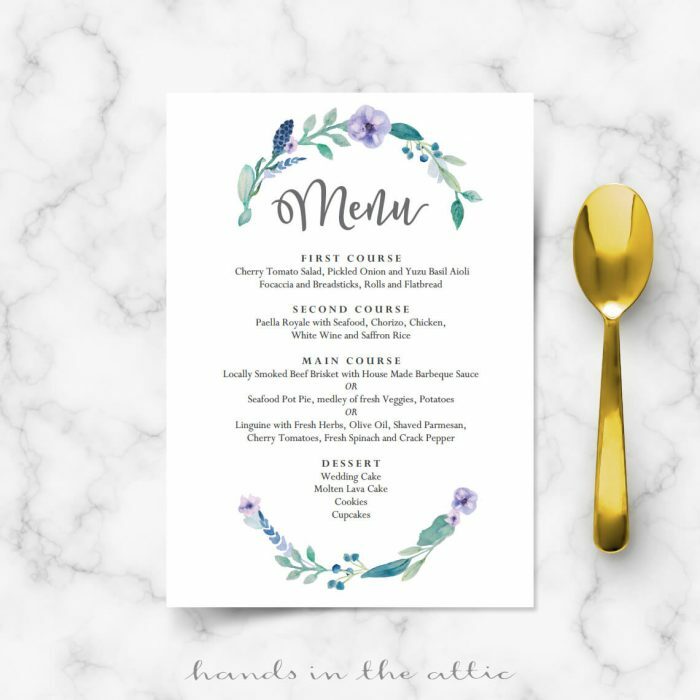 Create your own wedding menu cards with our designs! 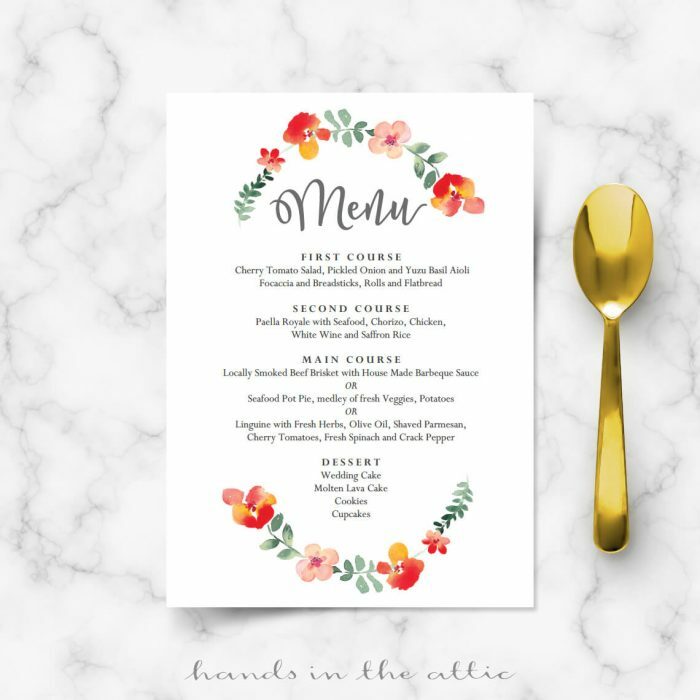 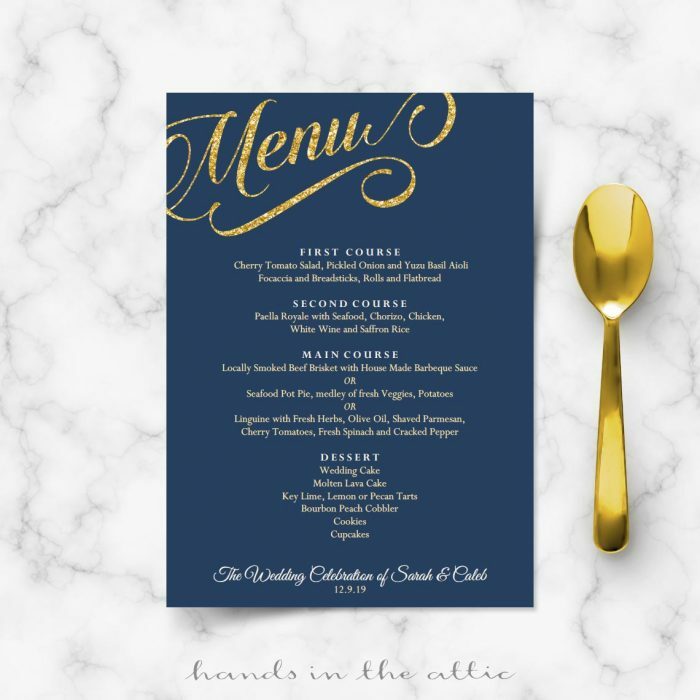 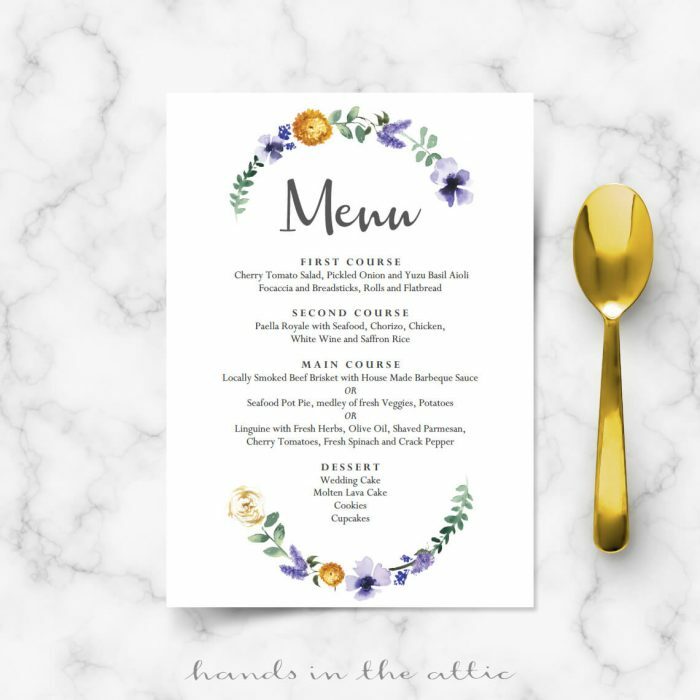 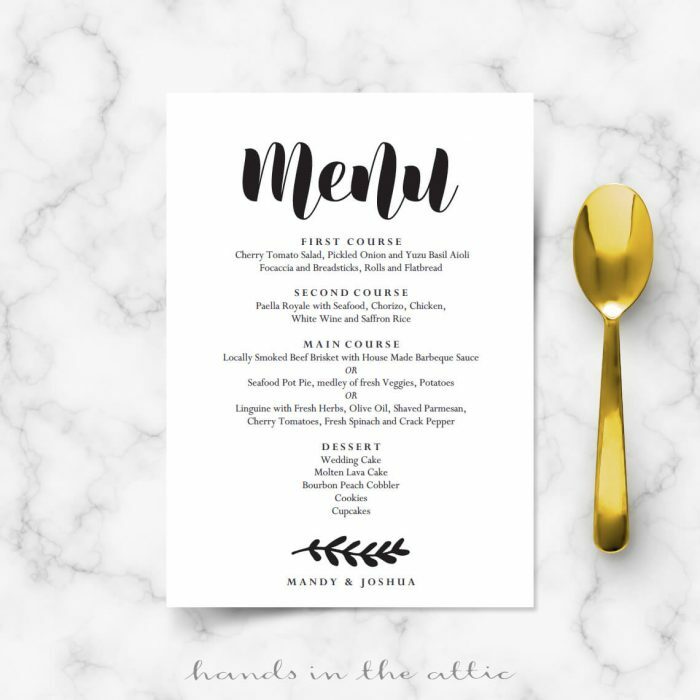 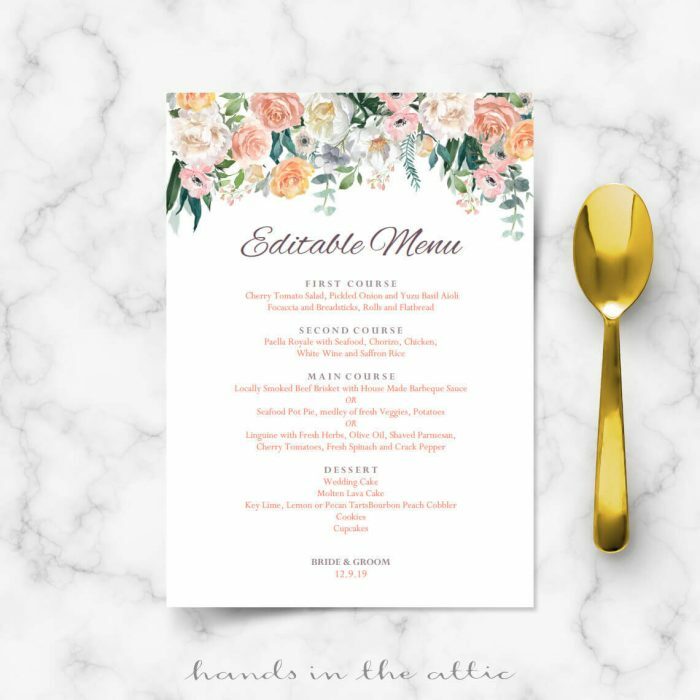 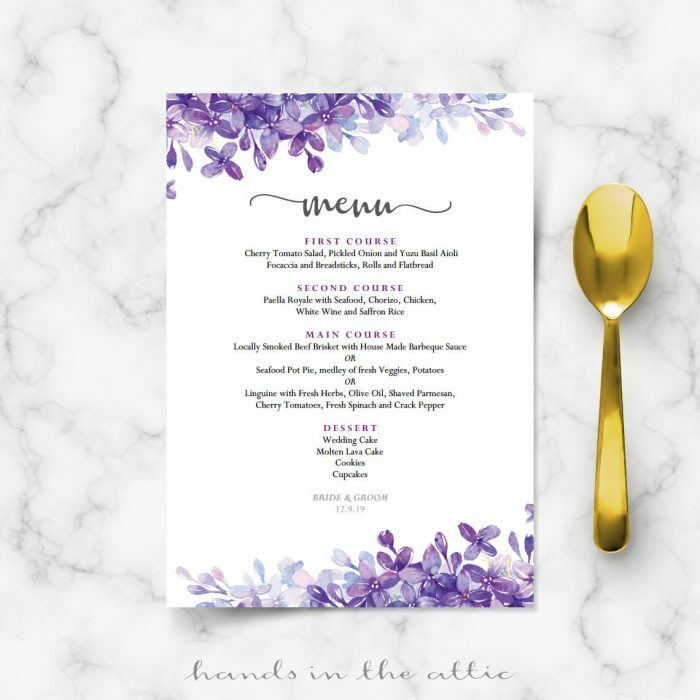 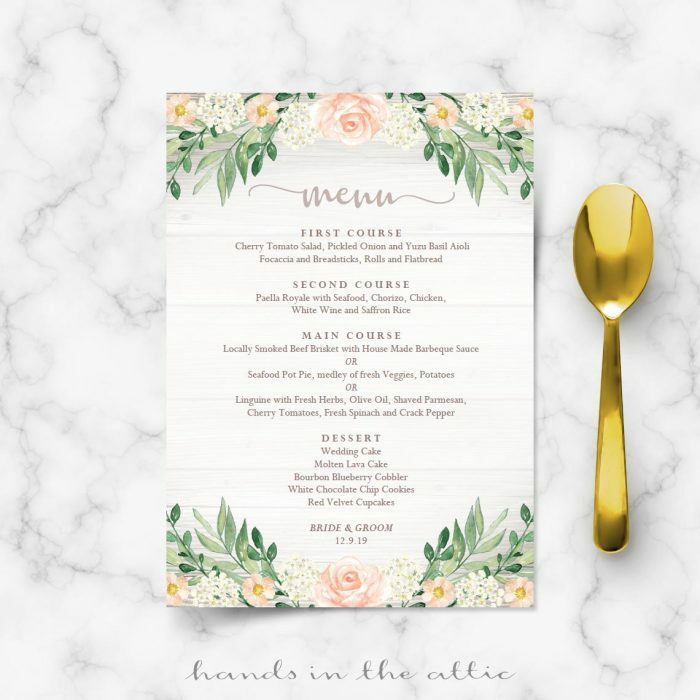 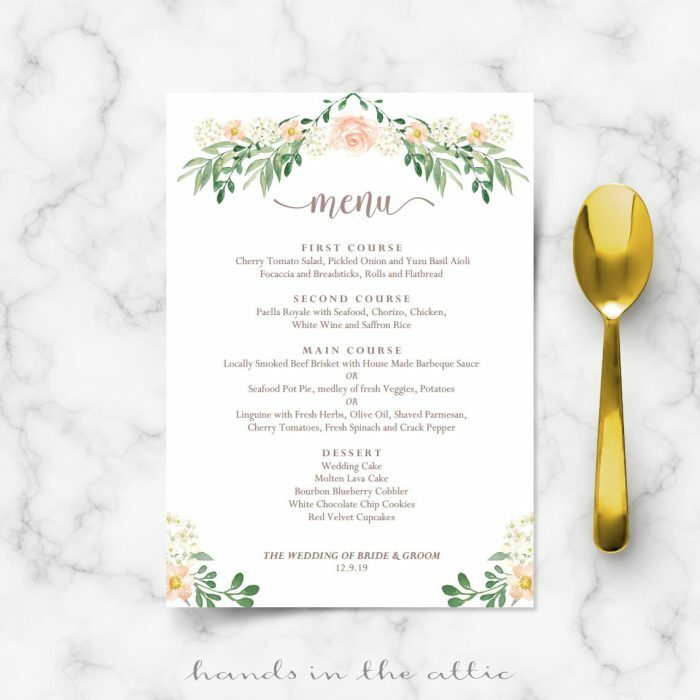 Whether you are having a buffet or a sit-down lunch, brunch or dinner, a wedding menu effectively communicates what’s being served at your reception. 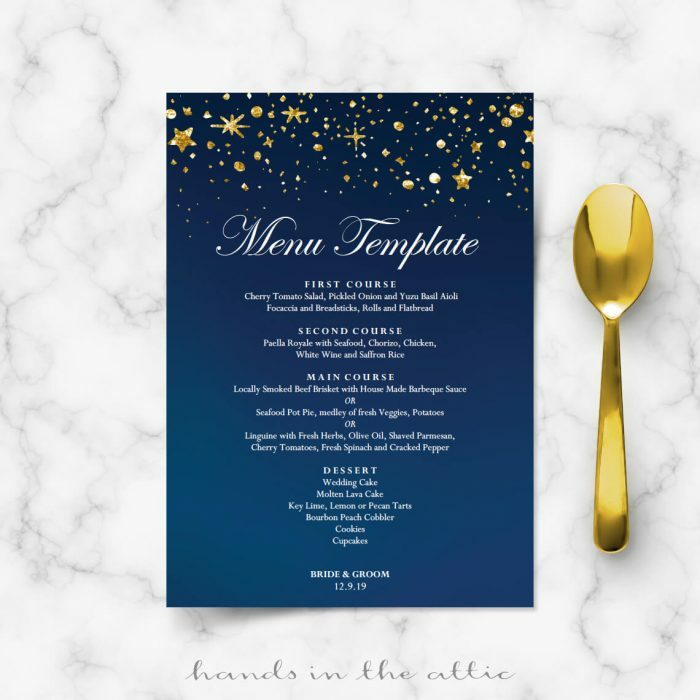 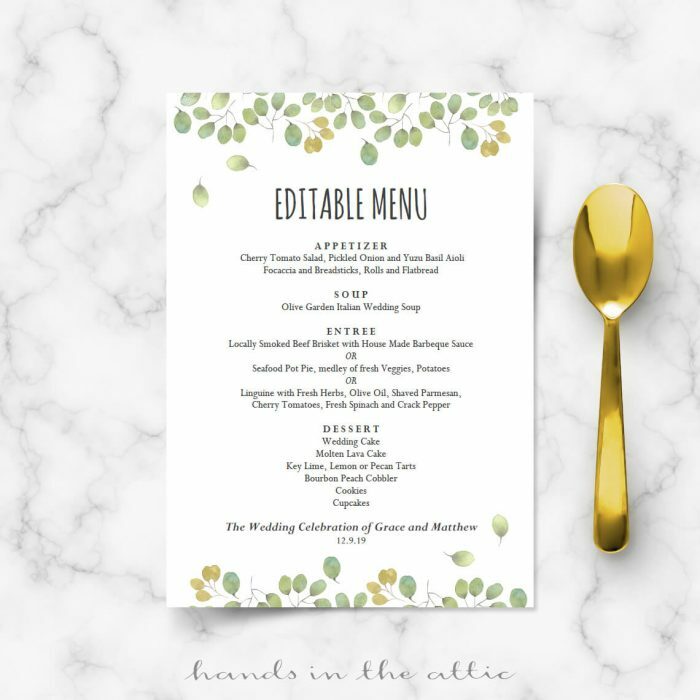 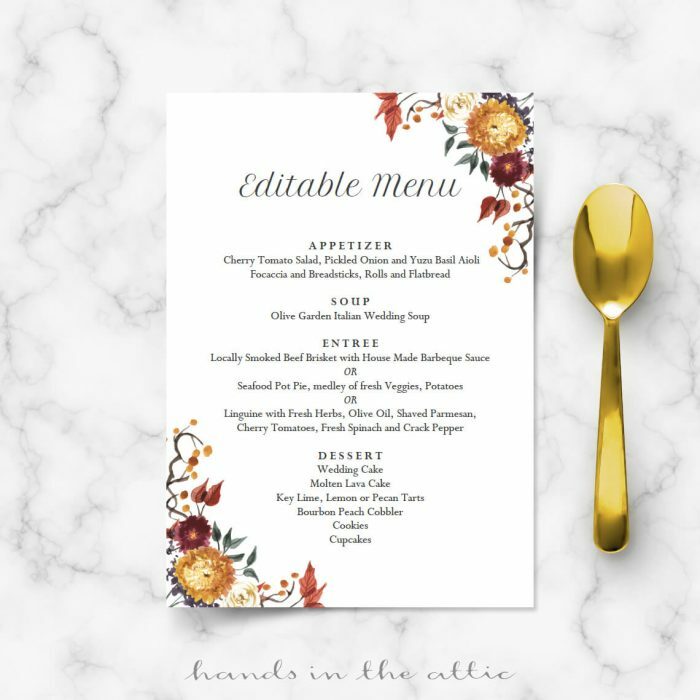 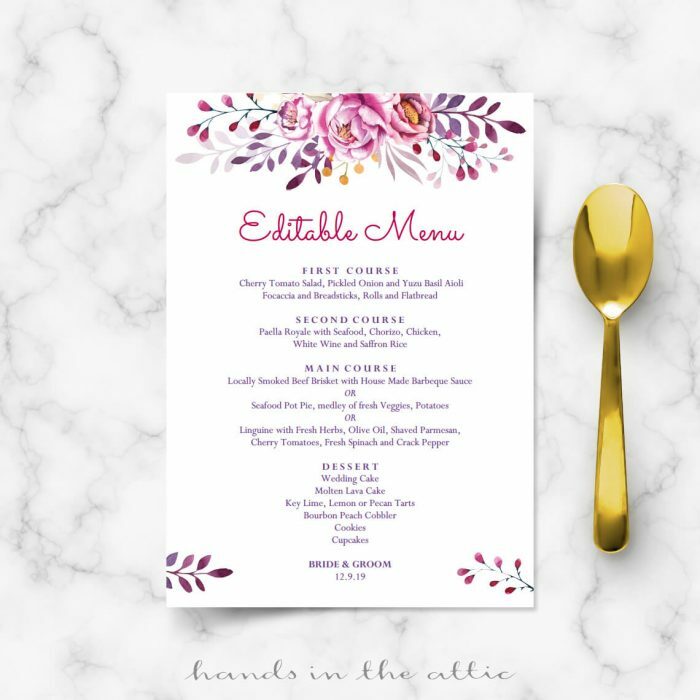 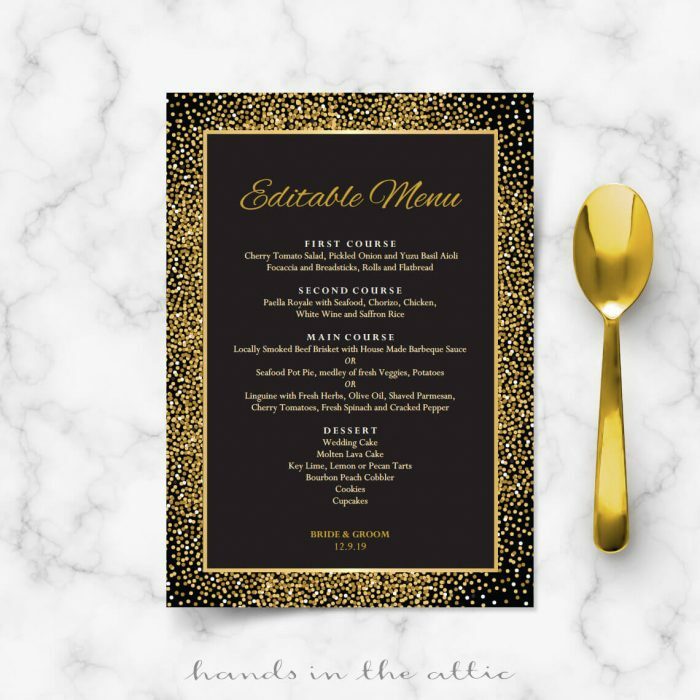 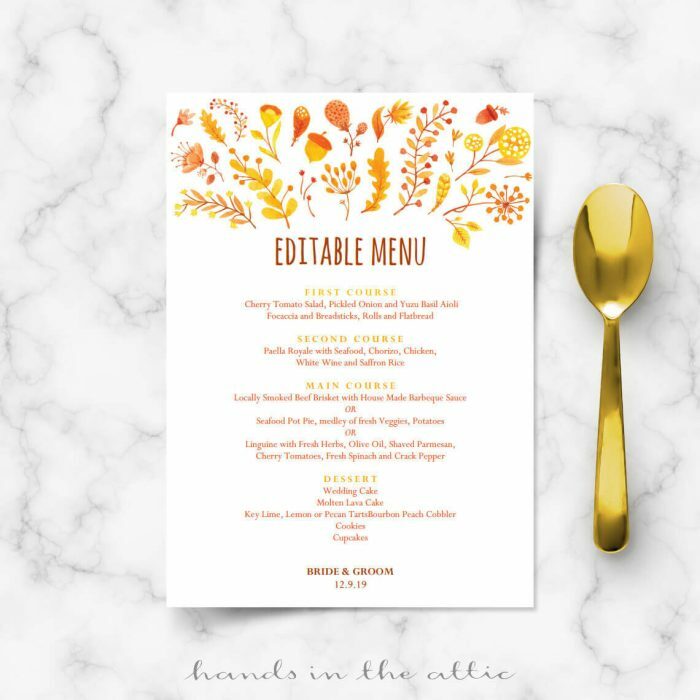 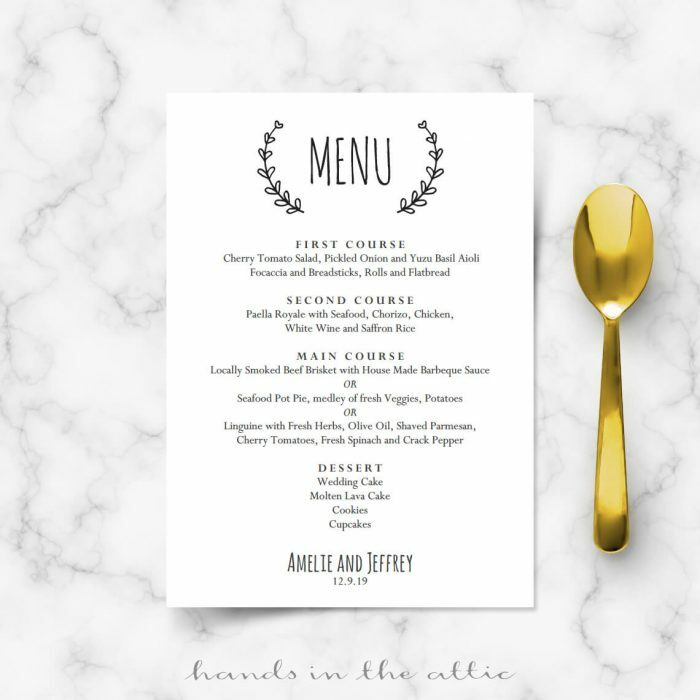 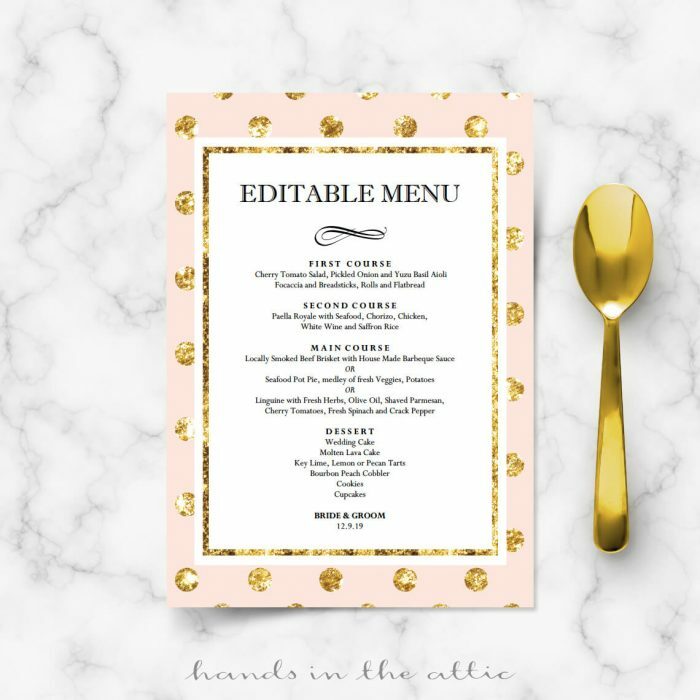 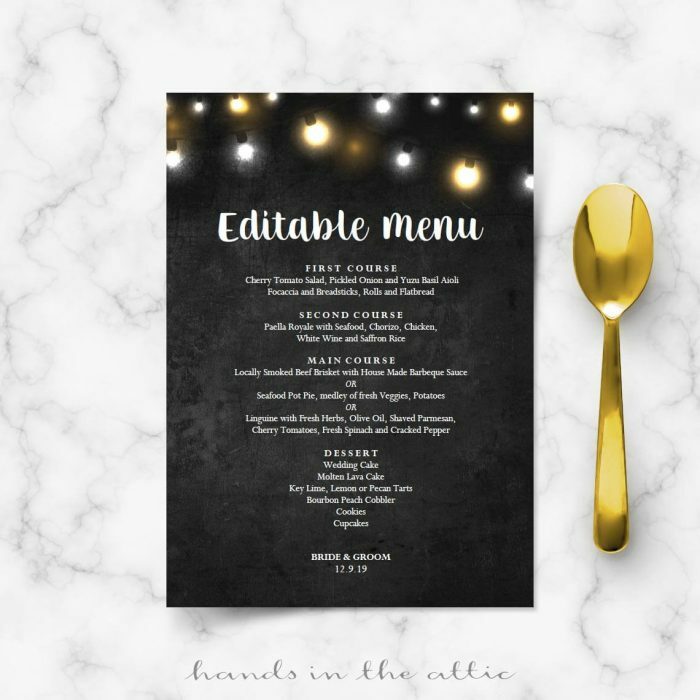 We offer menu templates you can easily edit from home, thus, you can make changes up to the last minute before printing them. 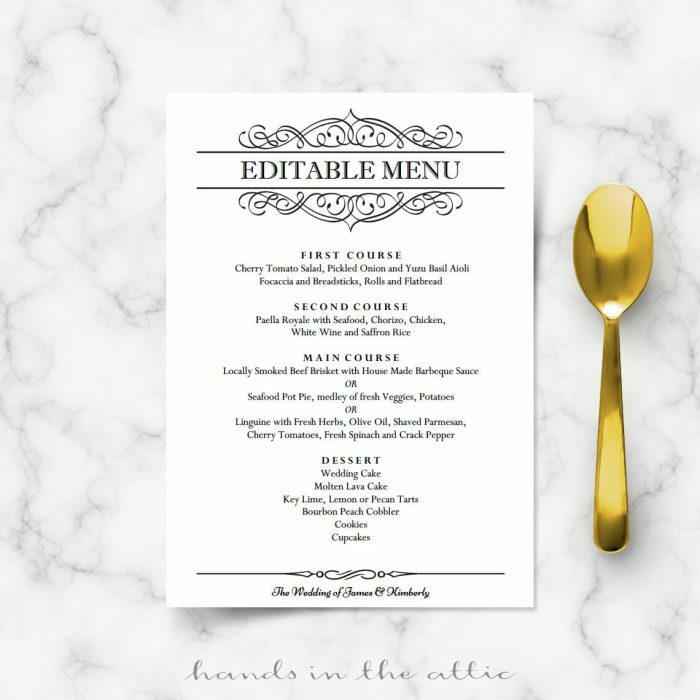 Print the PDF file at home, or upload to an online printing service. 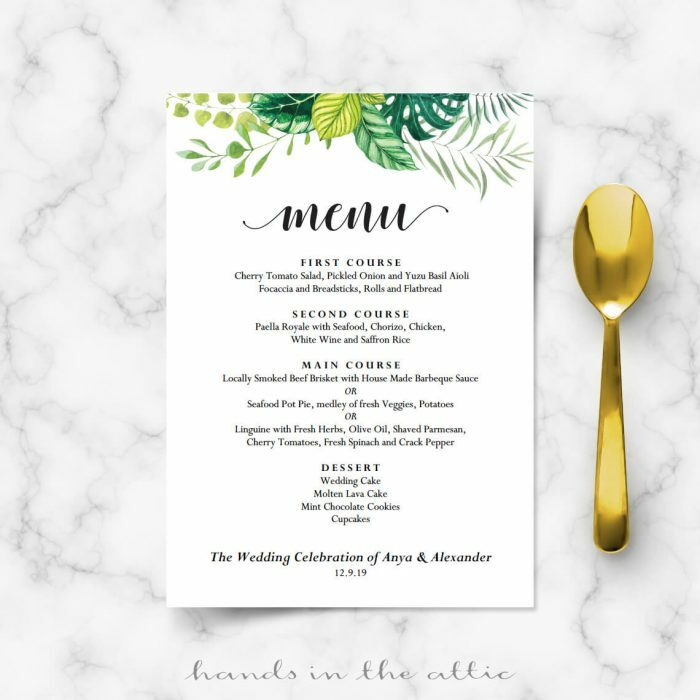 Print as many copies as your wedding needs!